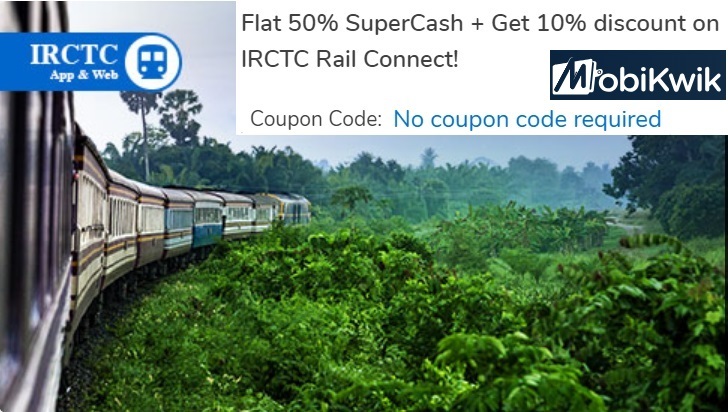 MobiKwik, India’s leading digital financial services platform, today announced a bonanza offer for the upcoming festive season that promises upto 10% discount on train ticket bookings. All users who book their train tickets with the IRCTC app or website can avail this offer when they make payments via the MobiKwik app. The users will be eligible to use their SuperCash balance to get upto 10% instant discount on their rail e-ticket booking amount. The announcement comes at the time when the government has been pushing for digitization and promote cashless transaction among the users. Additionally, this would also help reduce long queues at railway ticket counters. IRCTC is one of the largest e-commerce sites in the country and this offer will enable millions of users to save extra this festive season. 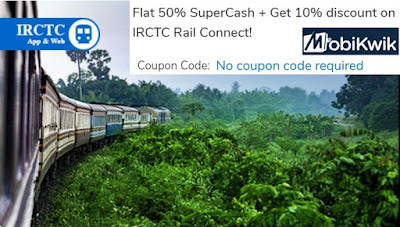 The offers are valid separately on both the IRCTC Rail Connect App and IRCTC website.